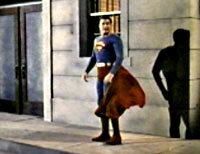 Almost every kid who grew up in the 1960s heard a story of how George Reeves died. 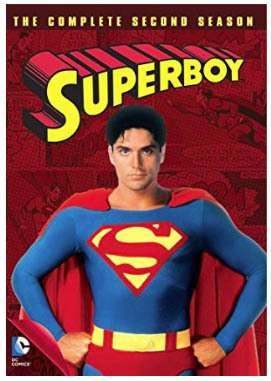 Depending on which version you heard, TV's Superman, thinking he was the character he portrayed (or despondent over being typecast), jumped off a building to see if he really could fly (or put a gun to his head and shot himself). The coroner's report officially ruled the death a suicide, stating that the star was killed by a single gunshot to the head in the early morning hours of June 16, 1959. 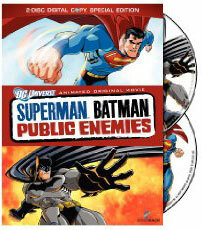 Truth is, we may never know the whole story; intrigue and confusion cloud the issue to this day. Many people who have taken a hard look at the case agree that murder, not suicide, was a much more likely scenario. 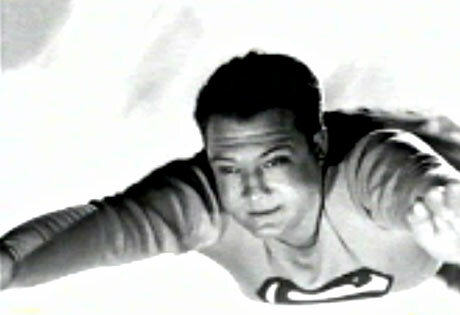 George Reeves was a moderately successful film actor in 1951 when he accepted the role of Superman in the feature film Superman and the Mole Men. 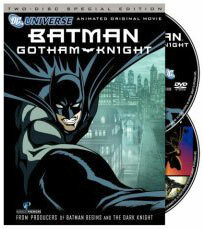 A television series underwritten by Kellogg's for first-run syndication was put into production with the same cast just a few days after filming on the feature concluded. 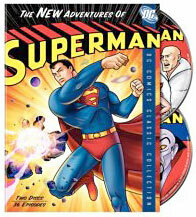 When The Adventures of Superman debuted in late 1952, it was a big hit, by far the most imaginative and exciting adventure series the medium had ever seen. 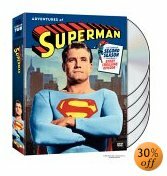 Even though there were no color televisions available to the public, in 1954 The Adventures of Superman became only the second TV series to be filmed in color (Cisco Kid was the first). This was a prescient move undertaken to make the show more commercially viable in the future. 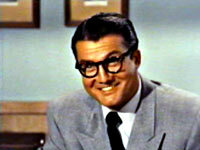 When the series ceased production after six successful seasons, George Reeves found himself typecast as the Man of Steel and good roles became scarce. Despite a couple of lean years, things began to turn around in 1959. 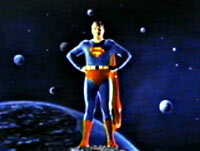 The producers of The Adventures of Superman decided to film another season's worth of shows in 1960 and Reeves agreed to return, signing on with a hefty raise. He was scheduled to shoot a film in Spain, and was to be married to his fiancee Lenore Lemmon on June 19, 1959 - just three days after his supposed suicide. 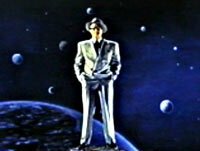 George Reeve's Real Alter Ego - Party Man! Classic TV Commercials / 1950's TV / 1960's TV / 1970's TV / Groucho vs William F Buckley / TV Games / Honey Boo Boo / Lucy Shows / Classic Cars / John Wayne /Smothers Brothers / Commercial Icons of the 1960s / Soupy Sales / The Carpenters / Route 66 / Bozo / The Carpenters Christmas Specials / Local Kid Shows / Death of TV's Superman / Wonderama / Sesame Street / Bob Hope Specials / Little Rascals / 1980's Retro Gay T-Shirts / 1980's TV Wrestling / Fess Parker / Howdy Doody / TV Blog / Lost In Space / Pinky Lee / 1980's LA Punk Rock / Alex Toth Book / TV Terrorists / Irwin Allen / The Untouchables / Carol Burnett Show / Batman TV Show / Green Hornet / Today Show History / Our Gang / Doris Day Show / 1970's Commercials For Women / Bill Cosby in the 1970s / The Golddiggers / Lola Falana / 1970s TV Shows / David Bowie on TV / Hudson Brothers / Jackie Gleason / Hollywood Squares / Match Game / The Andy Williams Show / The Flip Wilson Show / Glen Campbell Goodtime Hour / The Bobby Darin Show / The Richard Pryor Show / George Burns / Celebrity Commercials / Rudolph / Movie Posters & More!